If you have an online business or blog, you need an email list. And for that you need an autoresponder service. An autoresponder service is a company that stores your readers email address and other pertinent information and allows you to send emails to your list. These can be weekly newsletter, frequent update emails, solo offers, or a series of autoresponder messages. In this post we'll look at 3 different autoresponder providers and compare them with the goal that this information will help you make an educated decision when it comes time to sign up. All options we’re discussing here are subscription services – meaning you’ll pay them a monthly fee for their service, similar to your hosting fees. There is a second option – a self-hosted autoresponder, which I do not recommend you try. There are all sorts of technical and legal hot waters you can get yourself into by hosting your own autoresponder service. I suggest you leave that to the guys that know what they are doing and sign up for a reputable email service provider. Here’s the short list and comparison of a few of my favorites. Mail Chimp has long been the autoresponder of choice for beginning bloggers. It’s easy to use, has a lot of functionality and some beautiful templates to make your newsletters and emails look just as pretty as your blog. One of my favorite things about Mail Chimp is the ability to segment out those who opened a particular mailing, to only mail a second email to those who opened and were interested. One drawback is that you are charged for duplicate entries (same email address subscribed to multiple lists) and unlike Aweber it is hard to segment your list to track and see what’s working. If all you want is one main list for your blog, Mail Chimp is a great option for you, and if you don't need automatic responses when people sign up, you can get a free account for up to 2,000 email addresses. Automatic responses require a paid account. I have not personally used Aweber yet, but they have been in the business of list building and providing autoresponder services for ages. They have a great reputation and work hard to ensure their emails are delivered to your reader’s inboxes. One of the big disadvantages of Aweber is that like Mail Chimp they charge you for duplicates and unsubscribes unless you go in and manually delete them. Since pricing depends on your list size, this can quickly add up. They are also not reported to be that user friendly. ConvertKit is newer, but seems to give us the best of both worlds. It’s easy to use and has very pretty options like Mail Chimp, but with all the bells and whistles of Aweber. And since it was developed by a professional blogger whose desire is to include everything he’d want in an autoresponder service, this might work even better for you. I love ConvertKit because it allows me to have multiple lists, tags, forms and mailing sequences so that I can truly cater to my readers interests and needs. 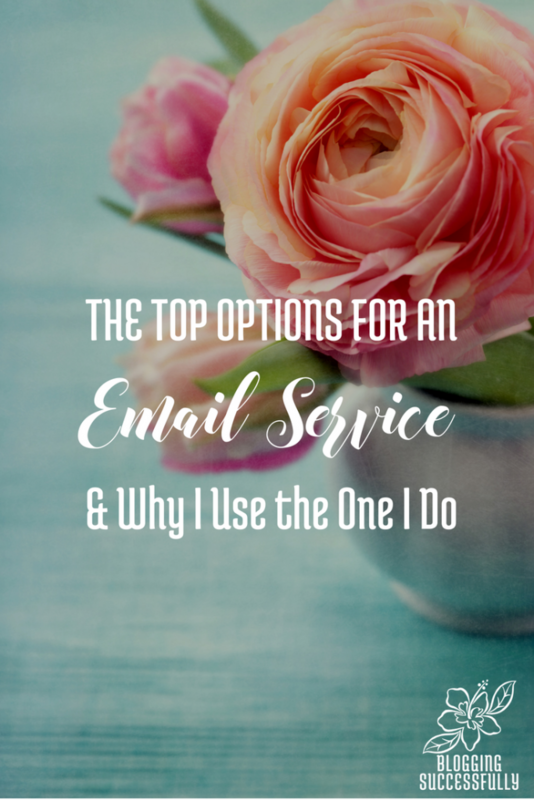 I can edit and resend an email to those who did not open (increasing my open rates) and I can set up triggers that allow my readers to opt out of certain mailings if they are not interested in that topic, without opting out of the entire list. It also integrates pretty easily with LeadPages. The only downside here is that the company is fairly new and still small. Though they appear solid there is always the possibility that they might not make it and I'd have to move my emails to a different provider. Edited to add: Another honorable mention is MailerLite. Check them out here. Want to know how often to send emails for optimum traffic on a tight time budget? 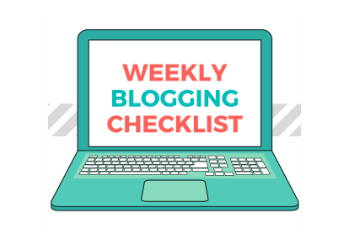 Get out our weekly blogging checklist for a step-by-step plan for success.